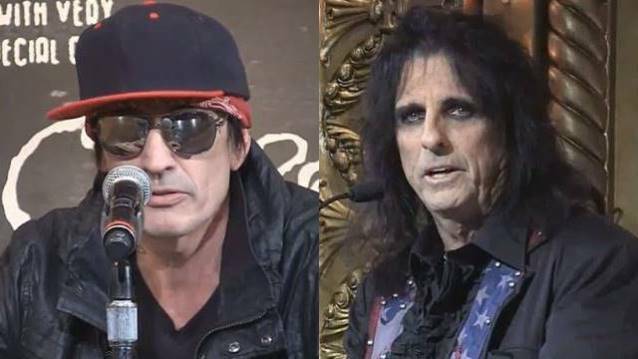 On January 29, MÖTLEY CRÜE drummer Tommy Lee and rock legend Alice Cooper were interviewed on the "Lamont And Tonelli Show", which airs on the Bay Area rock station 107.7 The Bone. You can listen to the chat in the YouTube clip below. VIP ticket packages were made available to the general public on Thursday (January 30) at 10:00 a.m. local time. The general public ticket sale for most shows started on Friday (January 31). All tickets and packages can be obtained via Ticketmaster.com.